Tamanu Oil’s multiple beneficial properties, including skin friendly antioxidants, make Tamanu a wonderful natural source of natural hydration and rejuvenation that effectively holds in moisture and heals the skin. Tamanu Oil is known to stimulate the formation of healthy new skin tissue making it highly effective for anti-aging, acne scars, psoriasis, sunburn, scabies, dry or scaly skin, blisters, eczema, and herpes sores. It relieves pain from cuts, abrasions, skin infections, burns, and insect bites. Our Tamanu Oil is a 100% pure, undiluted and unrefined product, ethically sourced from Vanuatu’s outer islands. From the tree to your skin. What exactly is Tamanu Oil and where does it come from? Read about properties and uses of Tamanu Oil in our ingredients section and also view the entire range of products using Tamanu Oil. Tamanu Oil’s multiple beneficial properties, including skin friendly antioxidants, make Tamanu a wonderful source of natural hydration and rejuvenation that effectively holds in moisture and heals the skin. Tamanu Oil is known to stimulate the formation of healthy new skin tissue making it highly effective for anti-aging, acne scars, psoriasis, sunburn, scabies, dry or scaly skin, blisters, eczema, and herpes sores. It relieves pain from cuts, abrasions, skin infections, burns, and insect bites. Our Tamanu Oil is 100% pure and undiluted, unrefined and ethically sourced from Vanuatu’s outer islands. From the tree to your skin. FOR TOPICAL USE ONLY. KEEP OUT OF REACH OF CHILDREN. SEEK MEDICAL ADVICE IF SWALLOWED. Test on a small area of skin first to ensure there is no irritation. Avoid use during pregnancy or lactation, or if you suffer from nut allergies. Apply direct to problem skin area morning and evening. If the problem persists, seek medical advice. 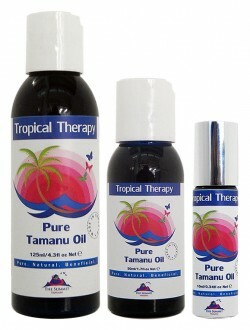 If your thinking of buying Tamanu Oil, do it. This Pure oil is the real deal, the best medicine I have ever used and has the most healing power of anything I have used..I had terrible psoriasis or that’s what the doctors said. Mostly on my legs and it got worse over the period of about ten years, I used chemicals, natural and pretty mush any old wives’tale I heard…nothing got to the stage where I just put nothing and it was like an open wound at times. If you’ve had anything like this I don’t have to explain the itch and inflamed and broken scabby…Its terrible and the embarrassment is even worse…It’s in your head but hate people seeing me looking like the living dead…I think if your suffering from a skin condition like this and the patches are kind of bigger than spots, I would recommend getting the soap as well and having a bath everyday..I did for almost every day for a few months now my skin has recovered so much I can do just showers now. Yes it is fantastic! We visited the summit in February this year and that’s where I bought my first bottle. I use it on my dermatitis on my fingers and get great results! We truly appreciate your review Cath! May you also try and enjoy our other pure, natural, beneficial health & body products! Btw, we have a surprise in store for you for your next purchase! 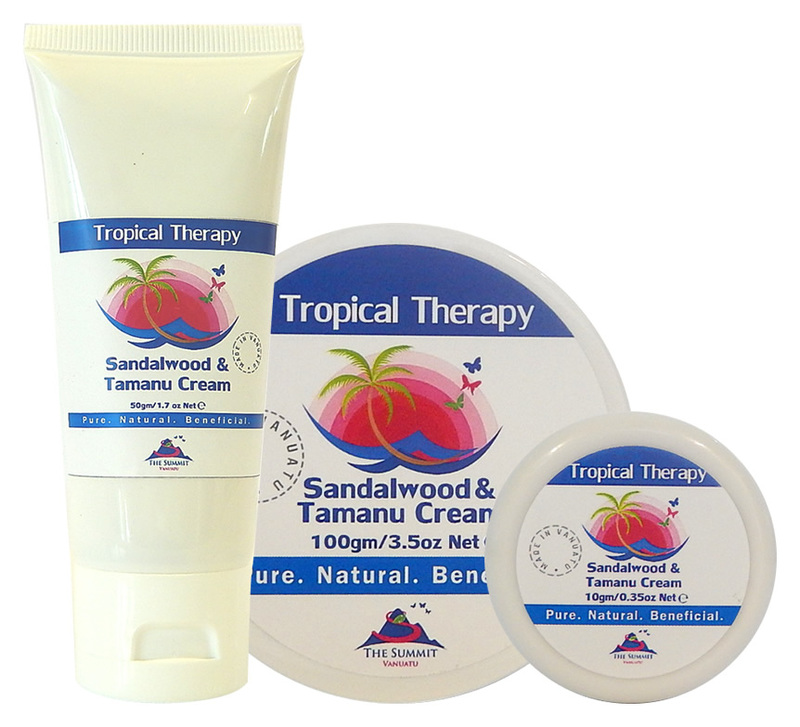 I put the tamanu oil on first and then often my usual moisturiser over the top – sometimes just the tamanu on its own. Im 50 now so a bit late – wish I’d started using it when I was 20. I use the analogy of a leaf that’s fallen off a tree in autumn – it dries and breaks up. Got to stay well hydrated to have good looking skin. I also use it on my hair – with a treatment – leave it on for half an hour or so. Beautiful !!! See… told you I love it ! This Tamanu oil is the closest thing I’ve ever found to a miracle skin healer. We are so lucky to have it available to us. I will never want to be without it. My acne prone skin responds really well to this. 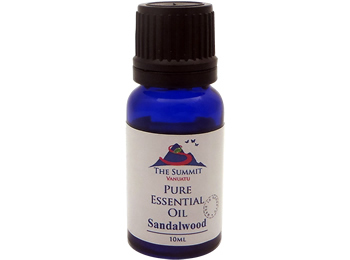 After cleansing, followed by toning with the Sandalwood hydrosol/or Lime Toner, I combine about four drops Tamanu oil and one drop Sandalwood oil to moisturize my face. I contribute this routine to my renewed complexion. Very happy with this product! This oil is the Panacea. I am incredibly blessed with skin that does not have major issues, but for me I use it on cuts and abrasions as a rapid healer. I am a gardener, so I often will use it on my hands when I finnish to make use of its antibacterial and healing properties. I can’t tell you how much I love this product. 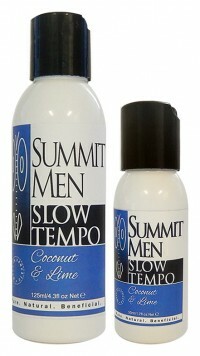 I first bought 2 bottles of it ( a large and a roll on)at the shop on Vanuatu as the lady there had such beautiful skin. When I got it home I noticed it said “acne be gone ” so I thought it was a mistake and gave one bottle to my grandson for his acne. Within 2 weeks of applying the oil every evening before he went to bed, we noticed a huge difference in his very inflamed red pimples. The small ones had already disappeared. By then I had started to use it on some old scars and was so impressed with the result, I started on my whole face. It reduced the dark circles under my eyes and reduced the hollow under my eyes. I also noticed from handling the oil the dermatitis on my hand was disappearing!! OHMG!! I have been using the Tamanu Oil for over a year now on everything and anything. Dry patches, my toe nails, mosquito bites , my face, my hair …. if I could I would bathe in the stuff! I would have never believed one product could actually give results, for such a variety of problems ! If you haven’t tried it … DO! I have recently moved to Thailand at the team are actually sending my Tamanu to me there! Got to Love it ! Keep up the great work ! !